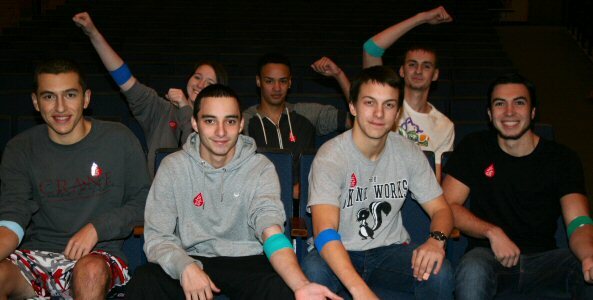 Rocky Point High School hosted a successful blood drive benefiting Long Island Blood Services on Monday, November 23, 2015 in the school’s auditorium. The drive was organized and sponsored by the Rocky Point High School Interact Club with club advisor and faculty member, Margaret Messinetti, serving as the coordinator. Rocky Point High School Interact club members assisted with the registration of donors and served refreshments to participants upon completion of their blood donation. 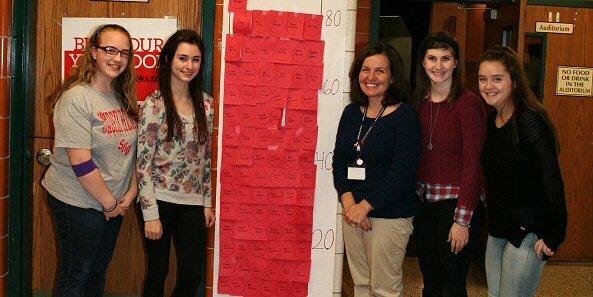 Students, teachers, administrators, and support staff donated a total of 69 units of blood, which is the highest donation day in the history of the drive. Thank you to all who assisted throughout the day as well as those who donated blood.